www.uncletehpeng.com : LEGOLAND MALAYSIA CELEBRATES 1 YEAR ANNIVERSARY! LEGOLAND MALAYSIA CELEBRATES 1 YEAR ANNIVERSARY! 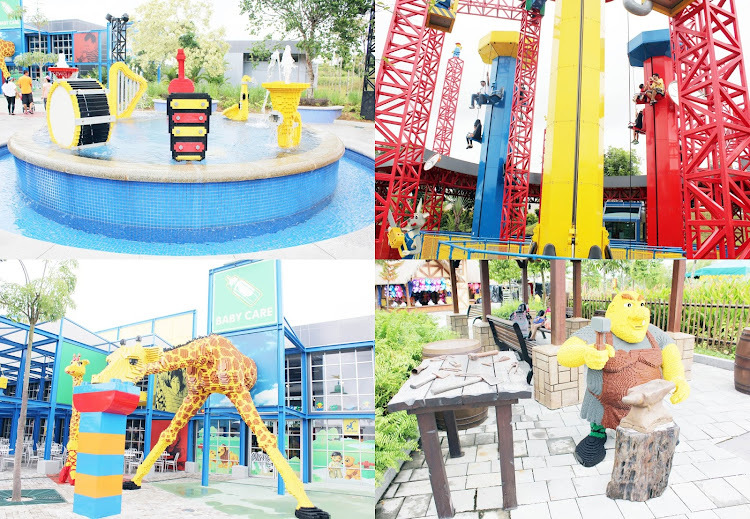 LEGOLAND® Malaysia is definitely a place to spend a day off where you can bound with your families, friends and relatives. A year has went past and they are about to celebrate their 1 year anniversary since their grand opening on 15th September. 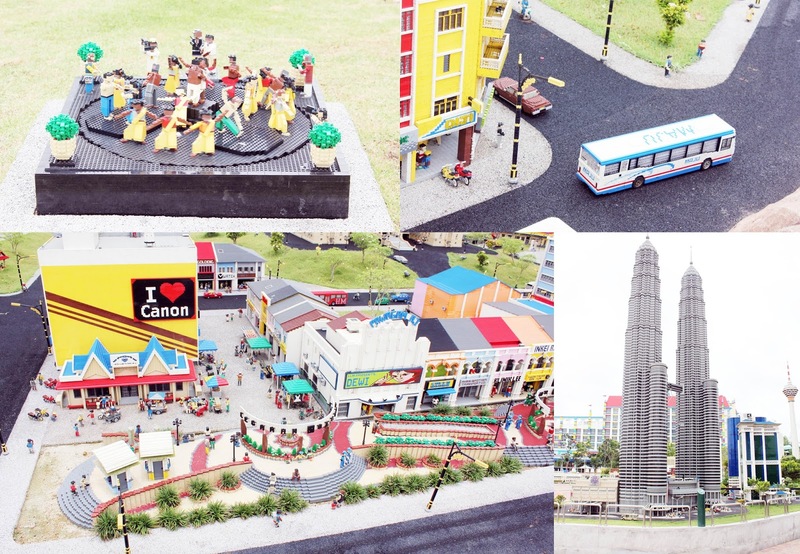 Not only an ordinary theme park, LEGOLAND® Malaysia is Asia's 1st and only LEGOLAND Resort which includes over 70 exciting rides, slides, shows and attractions. 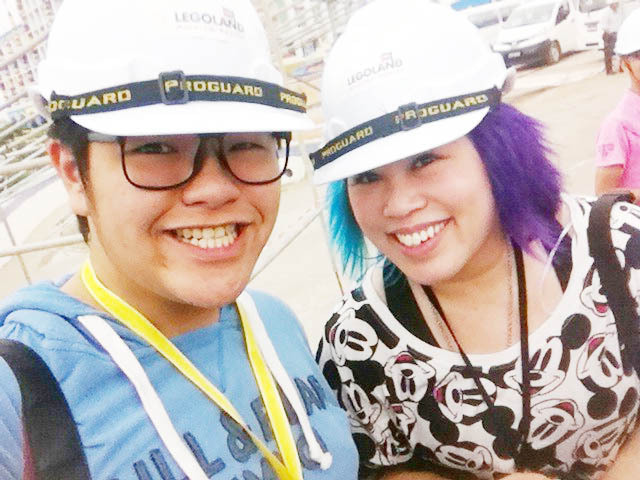 I was invited by my friend Mag to come and join her along to travel to Malaysia to attend a media conference about their 1st year anniversary and as well as took a sneak peak of the new Waterpark which will open their doors on 21 October 2013. Since Legoland is only a 10mins drive from Tuas Checkpoint, why not schedule your plans to come and enjoy a day of fun-filled rides and make your holidays a joyous occasion! 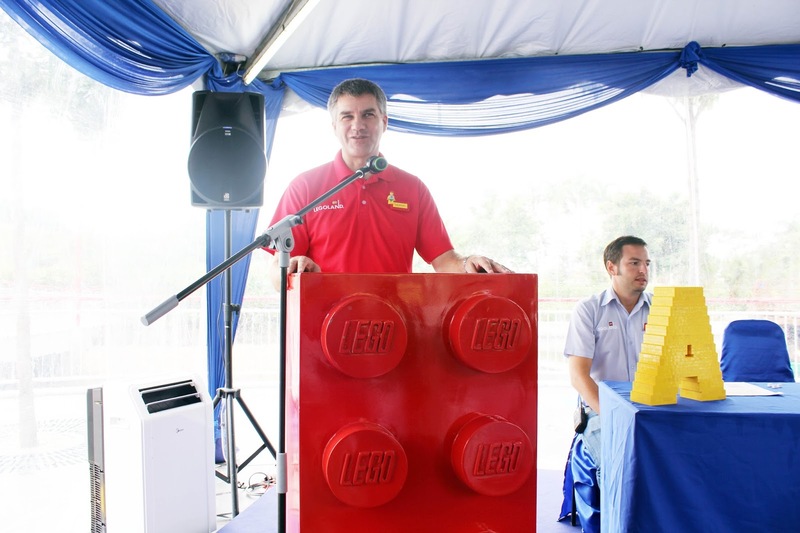 General Manager, Siegfried Boerst gave us an opening speech about how LEGOLAND® Malaysia has progress throughout the entire year which includes the resort hotel which was built and the up-coming opening of the new water theme park. 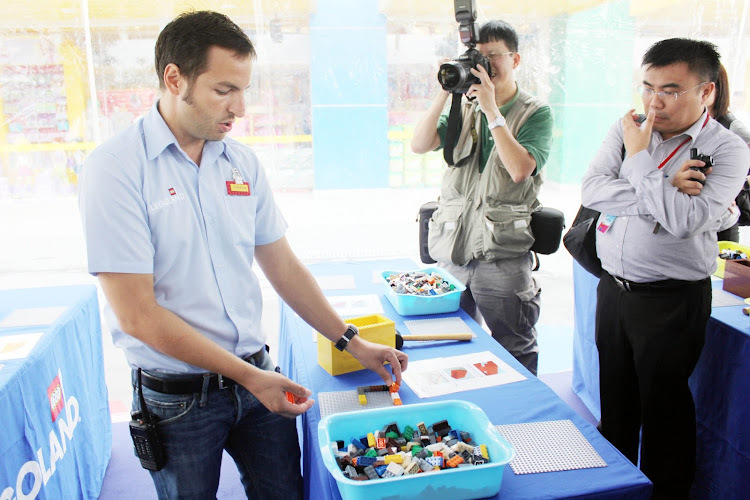 Mr. Stefen was explaining about the building of the LEGOLAND® Malaysia's big birthday cake using pieces of lego together with the help of the visitors, thus this cake would be ready by 15 September 2013. Kinda excited to see the final product because it's going to be very attractive and enthusing. Mag and I also played our part by building the bricks of the cake! It will comprise of over 300,000 bricks and measure three metres wide. Instructions were placed on the table and it was really a cool experience and a memorable one because we eventually got to contribute our parts in making the cake. Look at the spectrum of colours! Aren't they pretty? Mr Stefan providing as a demonstrating on how to build the brick of the birthday cake. See what I meant about the bricks? 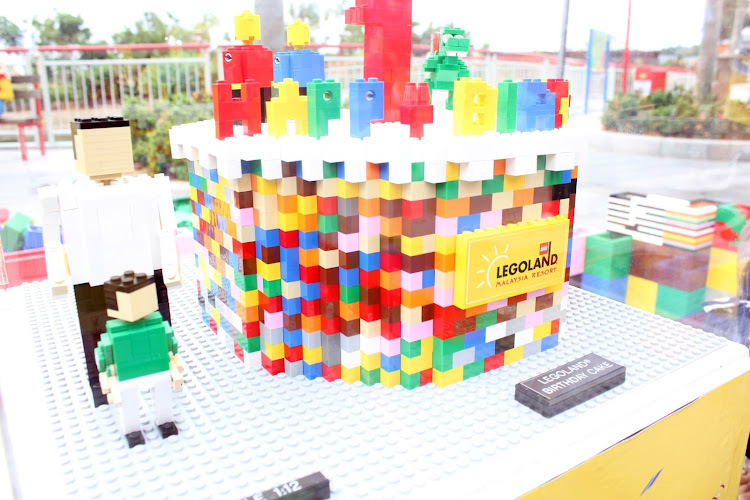 The finished bricked will be placed on top of each other and eventually be built into a life-size birthday cake. 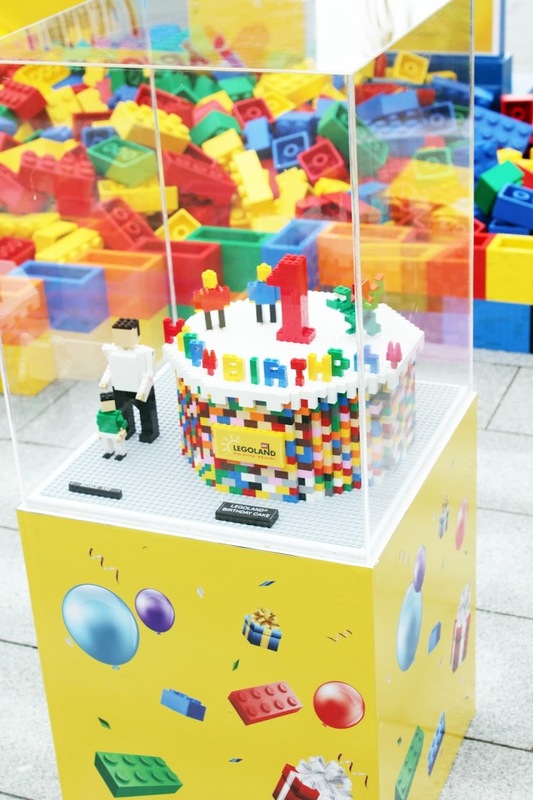 There is still time if you want to play your part by building the cake before it ends on 14 September. In the middle of the birthday cake, there is a miniature version sculpture of how the cake is going to look like when it's completed. I'm definitely looking forward to see the ending product! 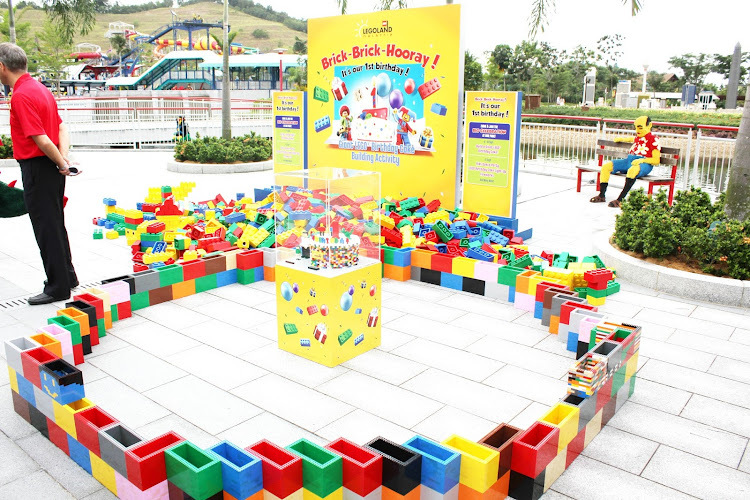 To see the ending product, you can also head down to LEGOLAND® Malaysia on their actual Anniversary on 15 September 2013 and there will be various activities lined up for that day which includes attractive fireworks in the evening and giveaways. 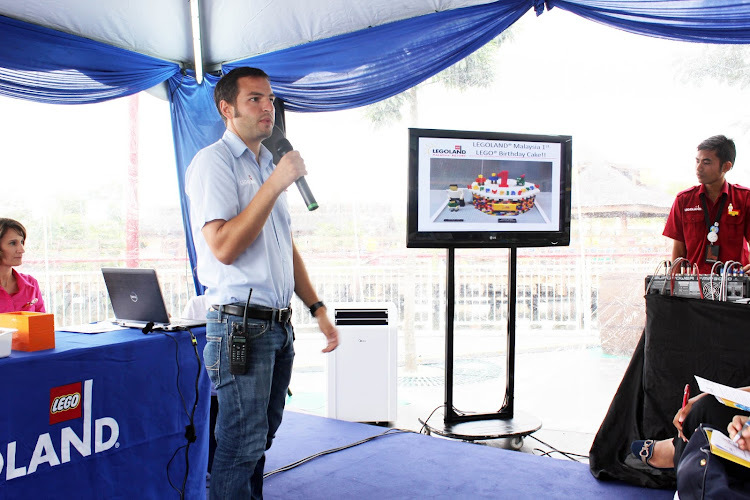 We were also directed to another conference room where the GM, Siegfried Boerst gave us a brief introduction about the new water theme park and the current building progress of the park which will their open their doors on 21 October 2013. (getting closer, yippie!) 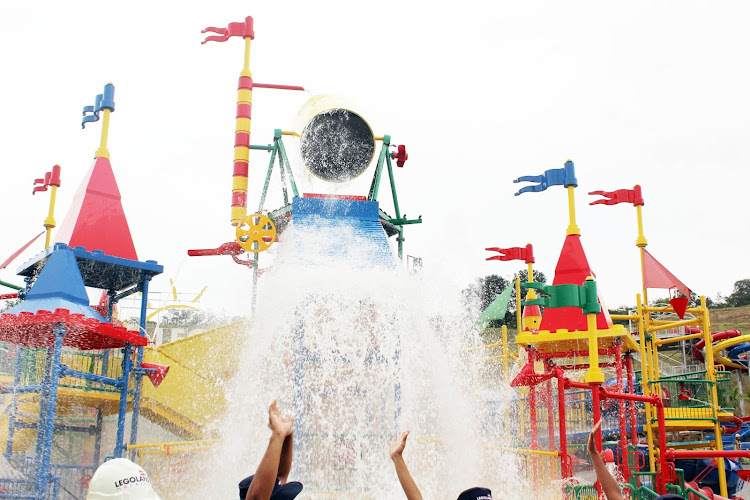 He also told us that they will be brining us up to the water theme park for a sneak preview! How lucky are we to be able to see a first glance of it! 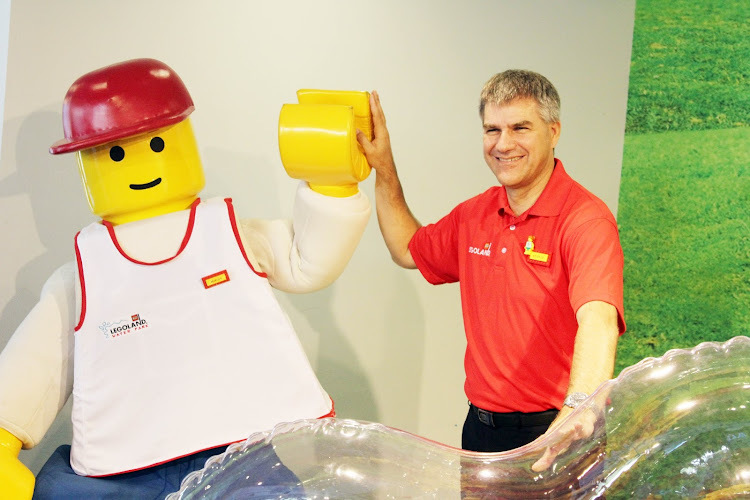 Managed to compiled the moments of the water pumping event and as well as my experience at Legoland. So hope you will enjoy the video! The General Manager activates the water pump and water started flowing though out the entire water-park. Surrounded with life guards awaiting for the grand moment when the bucket pours! The Joker Soaker is an interactive structure in a wade pool where children can aim water canons at each other. 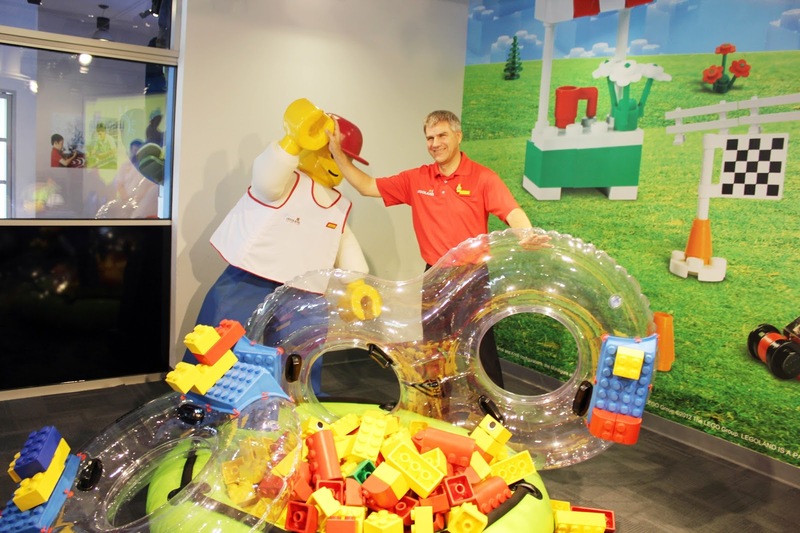 The surprise punch line to the Joker Soaker is when the LEGO jester model pours 350 gallons of water upon them! And here it goes! I can imagine me sitting below the junk of bucket waiting for the 350 gallons of water to come towards me (with my mouth open JUST JOKING!!) The feeling is going to be heavenly shiok! To add on to that with such a humid weather in asia, a water theme park is necessary to visit with your families and friends! 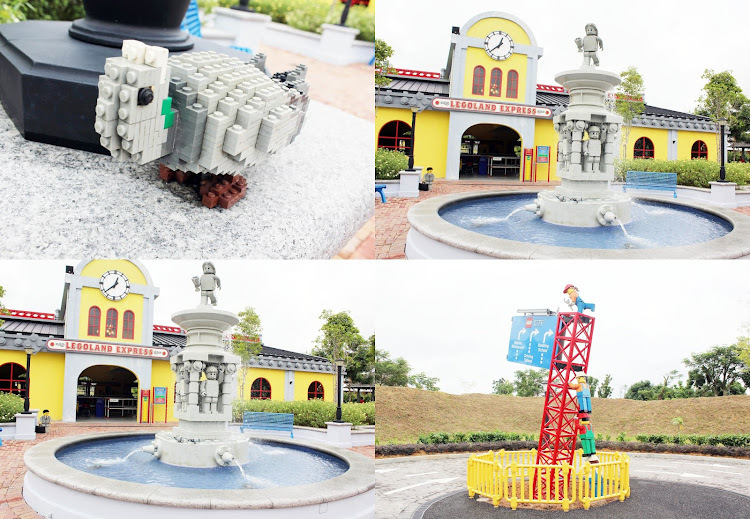 This will probably become the main attraction of the water theme park, and you would definitely would not want to miss this! I'll be counting down to the days of the opening! 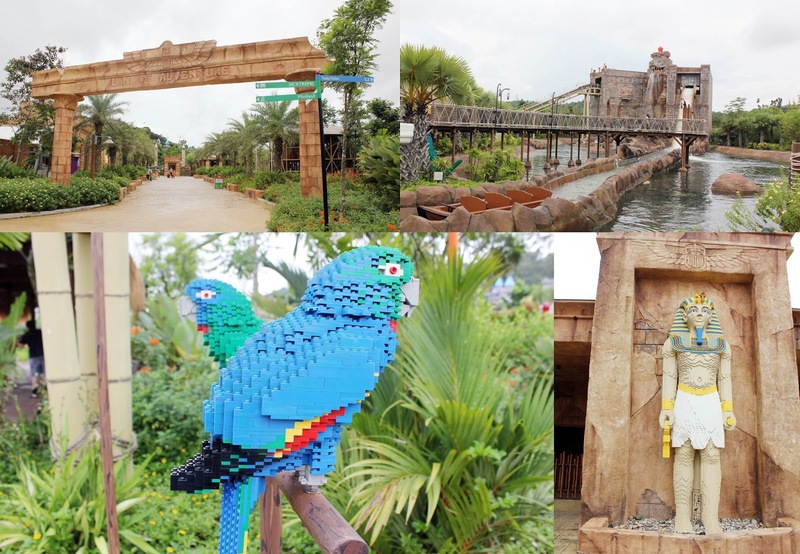 Once the park is open, it will become the largest LEGOLAND Water Park and it will be the first to have a second gate which also means it can be enjoyed separately or in combination with the theme park. They are also now searching for swimmers aged between 6-12 years old to become Junior Lifesavers. 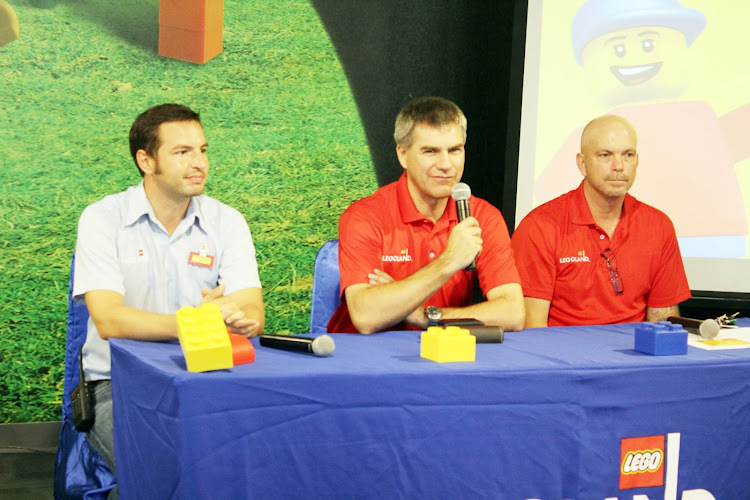 Six junior swimmers will get a chance to experience a lifetime opportunity to be part of the opening crew of LEGOLAND Water Park! After spending the whole morning at LEGOLAND, we settled down by having lunch at one of their Restaurants. Wow, even their restaurants are LEGO- themed! 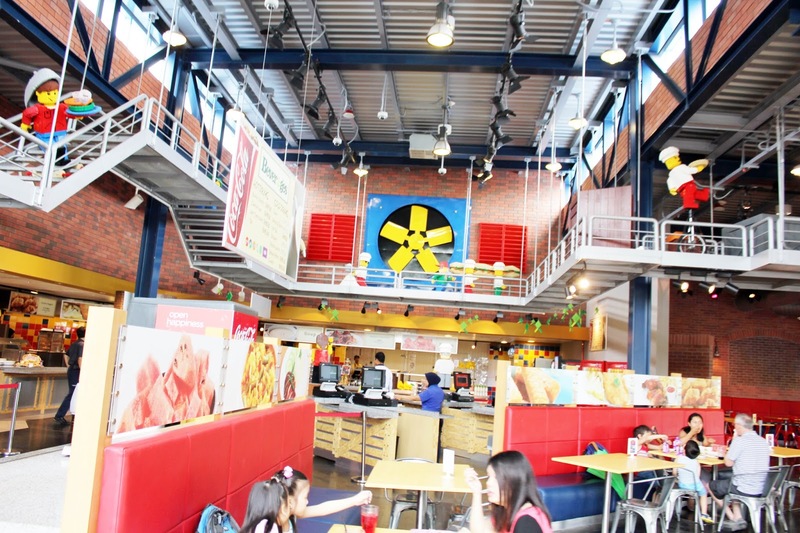 Legoland has over 20 restaurants, food stands and food charts. With so much food options available, you don't have to worry that you would go hungry. To add on, their food are also made affordable and they are delicious too! 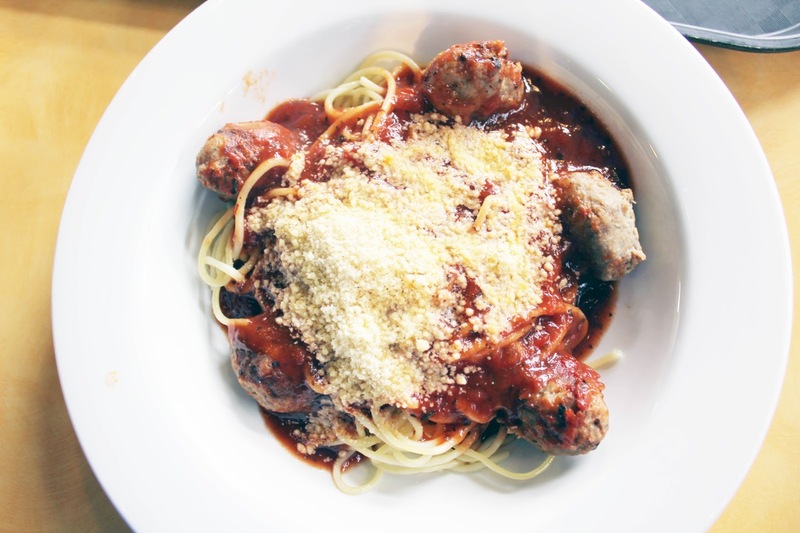 Gave a dishing try on their meatball spaghetti becuase it's looks super tempting! And suprisingly it tasted really good and the sauce was organic sauce and the portion was given generously. There were other food rather than pasta, such as fish and chips and baked chicken. After lunch, there was still sometime for me to explore LEGOLAND before we head back to Singapore! 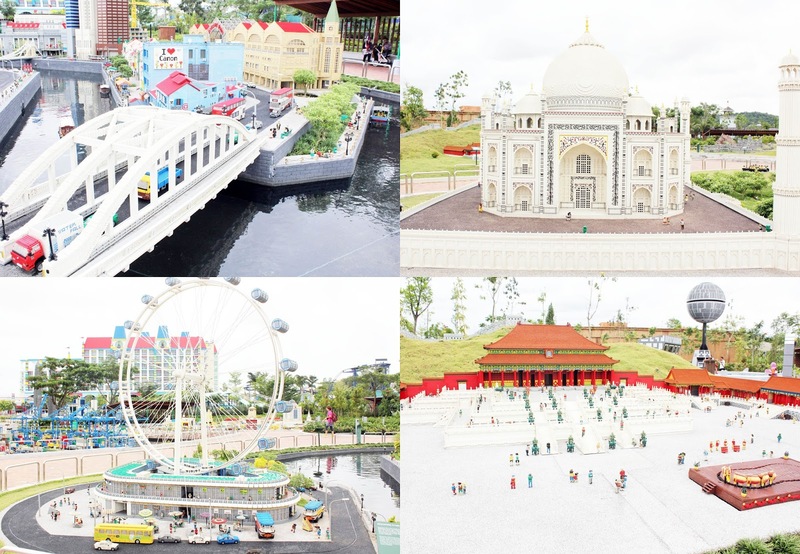 I couldn't resist the Miniland: Asia in Lego® Bricks located at one of the sector at LEGOLAND. The building are so adorable looking all in miniature size and they look EXACTLY like the actual attraction! In my mind, I was probably guessing that they must put in a lot of effort to come up with this idea! Did you see the Singapore Flyer! Omg, it looks like a miniature electronic fan from far! Hahaha! 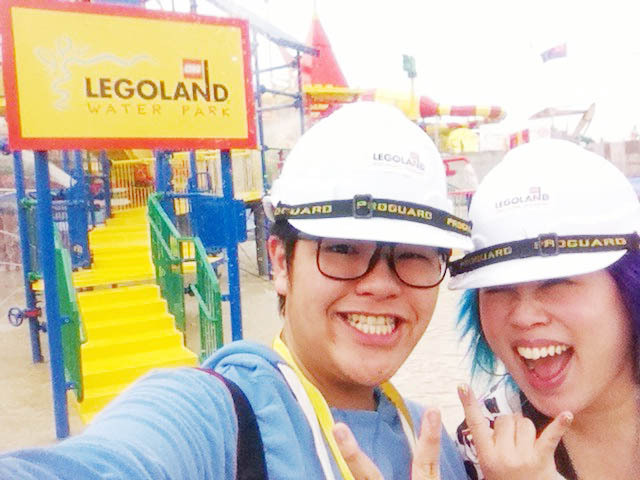 Overall, it was a joyful experience spent at LEGOLAND! Special thanks to Mag for bringing me along. 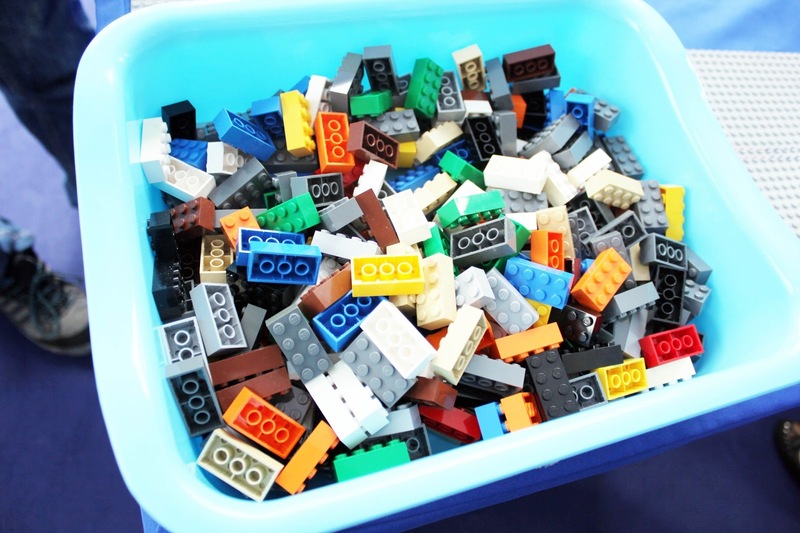 Just a side note that I need bring an umbrella in my bag next time incase if there's a bad weather and also if you are coming to LEGOLAND please bring sunblock for your own use because it's very humid and remember to drink loads of water! 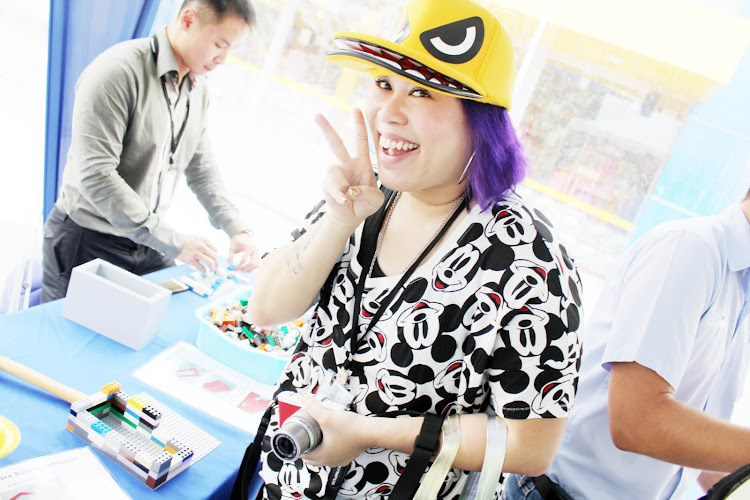 Alright, going to end my blogpost here! Thanks for reading bye! 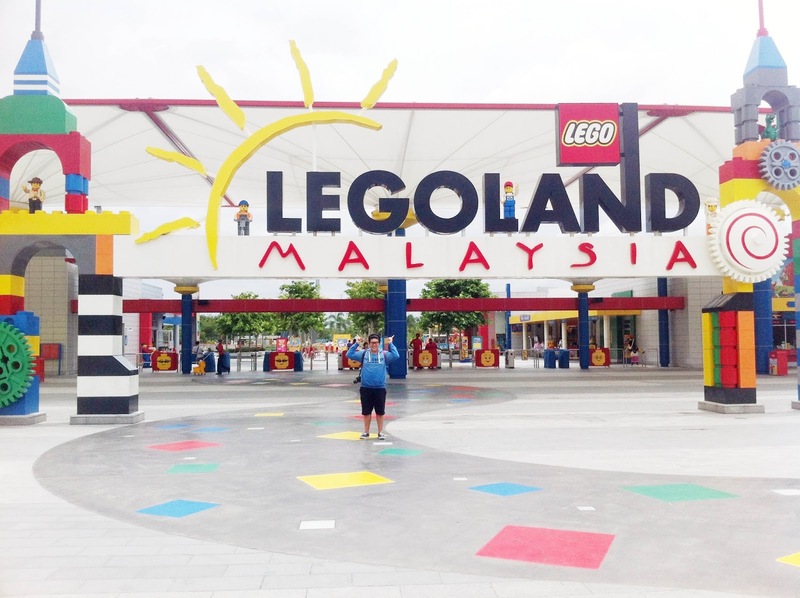 I enjoyed my last trip at legoland too! Will definitely revisit legoland again!